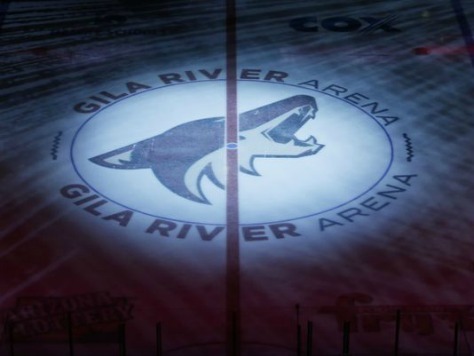 In 2003, the team opened Glendale Arena, now known as Jobing.com Arena, and moved there in 2003. Ellman put forward numerous proposals to improve the hockey sight lines in America West Arena in hopes of boosting capacity back over the 17,000 mark. However, neither of these got beyond the planning stages, leading Ellman to commit to building a new arena. Simultaneously, the team changed its logo and uniforms, moving from the previous multi-colored kit to a more streamlined look.